I can't believe it! 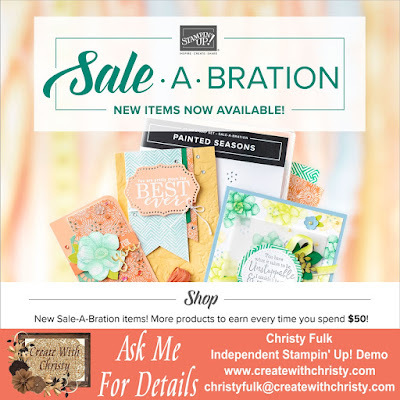 Today begins the last week of Sale-A-Bration! 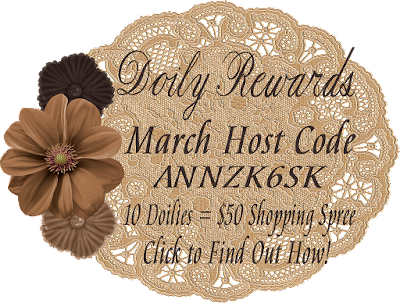 It ends THIS Sunday, March 31, 2019. 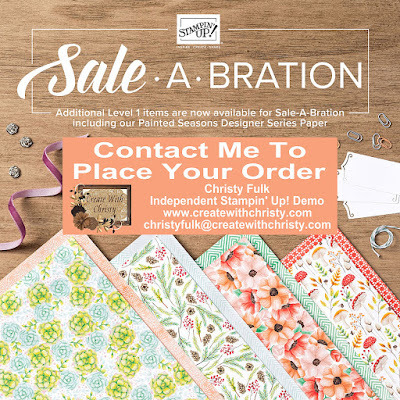 For the last week, I've decided to have a "Sale-A-Bration Showcase" all week long! 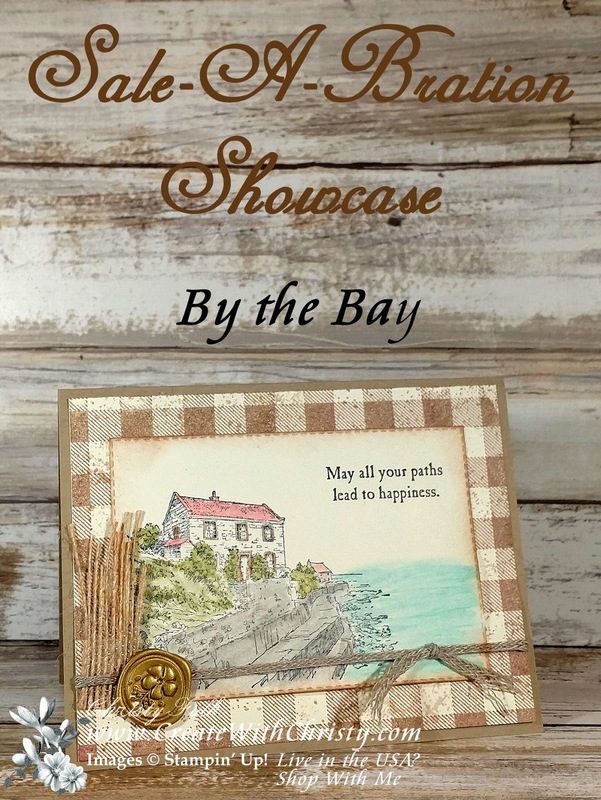 Today's card features the beautiful, Level One Sale-A-Bration Stamp Set, By the Bay. Isn't the house on the bay image beautiful? I LOVE it! I CASEd this card from one that Lyssa Zwolanek made. 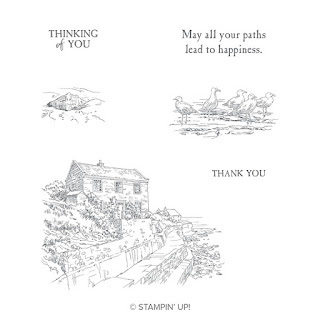 You can get this wonderful stamp set FREE with a $50 order (before shipping & tax) until THIS Sunday, March 31. I colored it in with Watercolor Pencils and a Blender Pen. I haven't used these pencils for awhile, and I forgot how much fun they are to watercolor with! They smooth out so well with the Blender Pens, too! 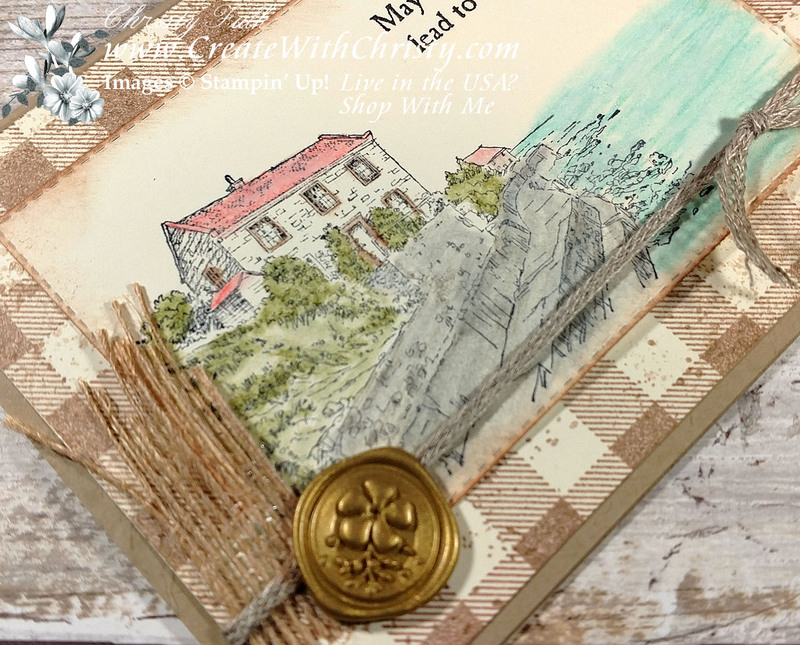 I also used the Buffalo Check & Touches of Texture Stamp Sets on the card. 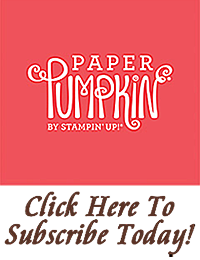 The Buffalo Check stamp isn't in a catalog right now, but it is still available to purchase. The Touches of Texture Stamp Set is in the Annual Catalog. 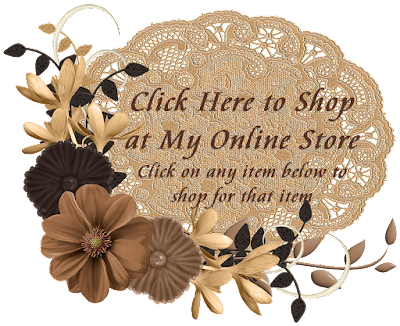 You can get links to these products in the supply list below. I also used a Floral Romance Seal from the Occasions Catalog. I think the seal goes perfectly with this card. I was very happy with how it looked when I put it on. 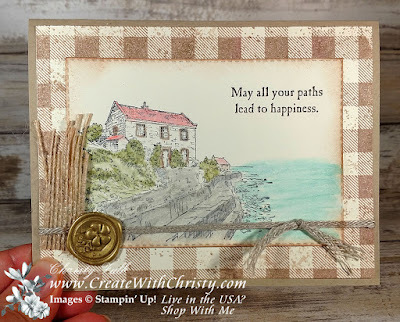 Stamp the Buffalo Check background stamp onto the largest Very Vanilla piece using the Crumb Cake Classic Stampin' Pad. Stamp the splatter stamp from the Touches of Texture Stamp Set all over the edges of the Buffalo Check image using the same ink pad. Die-cut a rectangle out of the last Very Vanilla piece using the #6 die in the largest set of dies (#1 being the smallest) from the Rectangle Stitched Framelits Dies. Stamp the house stamp from the By the Bay Stamp Set onto the bottom, left corner of the rectangle using the Tuxedo Black Memento Pad. 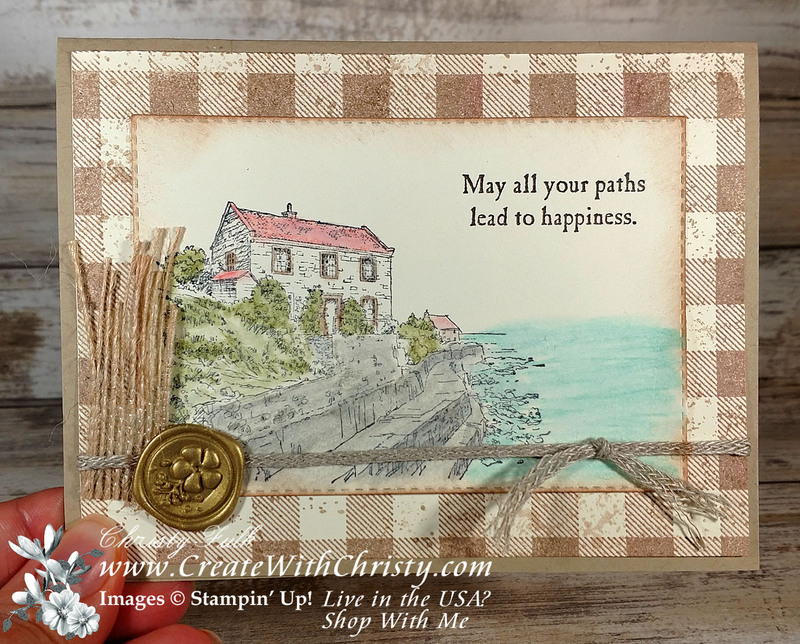 Stamp the "May all your paths..." stamp onto the top, right corner of the piece using the Early Espresso Classic Stampin' Pad. Color the images in using the Basic Gray, Early Espresso, Bermuda Bay, Real Red and Old Olive pencils in the Watercolor Pencils. Smooth out the pencil lines by going over the coloring with a Blender Pen. Add more color where darker shades should be. Sponge all four edges of the rectangle with the Crumb Cake ink pad and a Stampin' Sponge. Attach the rectangle to the center of the Buffalo Check layer. Cut in-between each strand in the Burlap Ribbon to make "grass", stopping about a 1/2" from the bottom. Cut some of the strands shorter to make them all different lengths. Put a few Mini Glue Dots onto the bottom 1/2" section of the ribbon, and attach it to the left side of the card, lining the bottom edge of the ribbon with the bottom edge of the rectangle. Wrap the longer Braided Linen Trim around the bottom of the Buffalo Check layer & rectangle piece, and attach the trim ends to the back of the Buffalo Check piece. Fold the Crumb Cake piece in half (fold on the top) to form the card base. Attach the Buffalo Check piece onto the center of the card front. Tie the smaller Braided Linen Trim onto the right side of the attached trim piece using a single-knot. Trim the ends at an angle. Pull the sides of the knotted trim out to make it wider and fray it a bit. 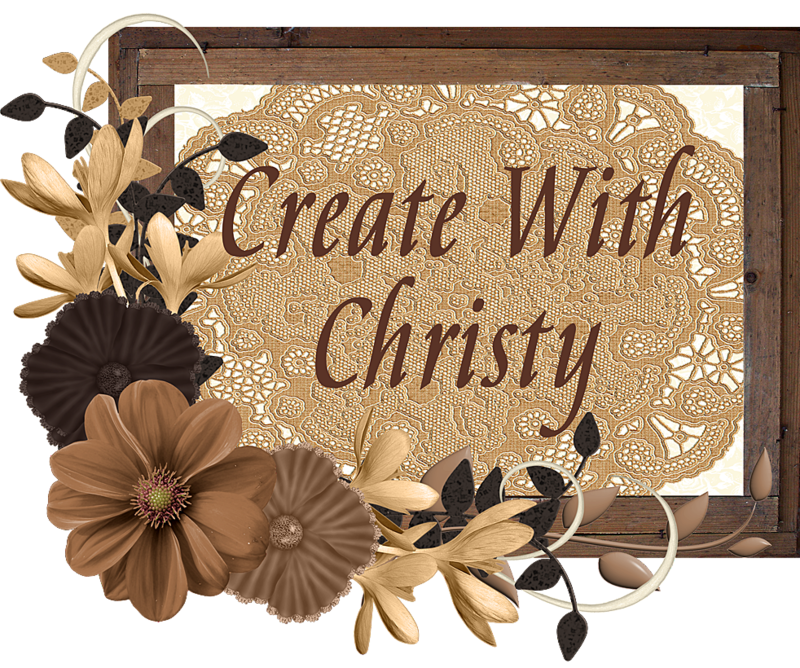 Put 2-3 Mini Glue Dots onto the back of a Floral Romance Seal, and attach it next to the burlap "grass". Note: There is adhesive on the back of the seal, but it needs more to stay on over the braided trim. 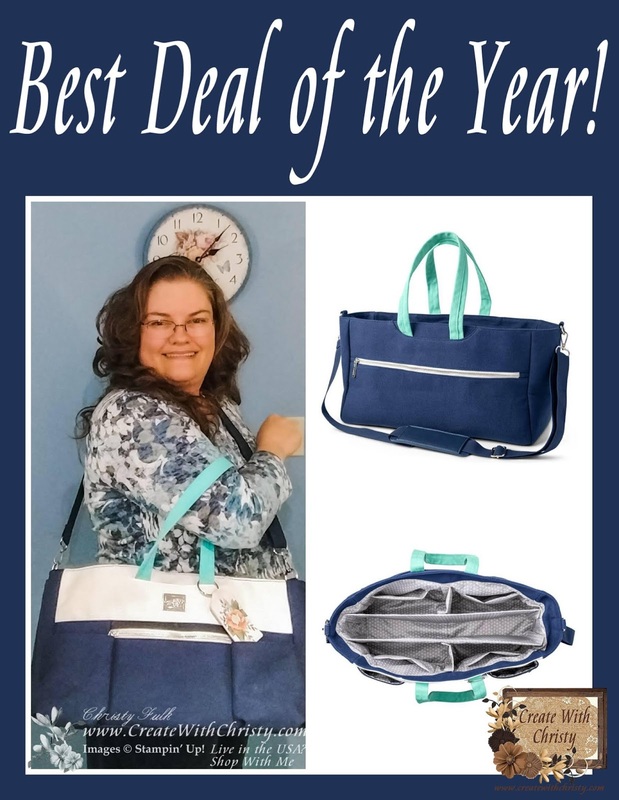 Believe Me, This Deal Is Too Good to Pass Up! The deal above is Option #2. 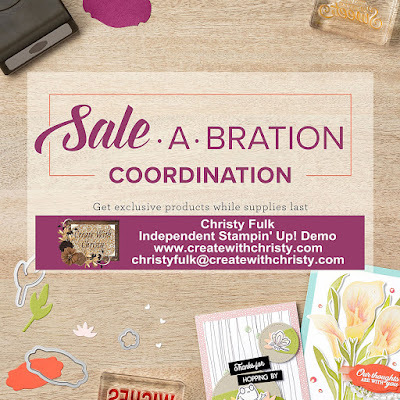 You can also join my team by getting the Option #1 deal. 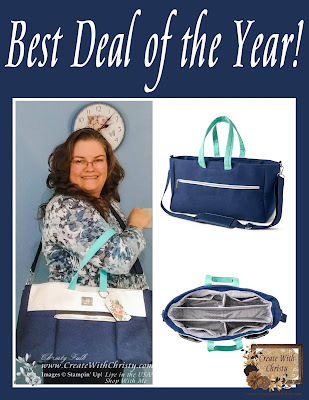 It includes everything as the second option above, but it DOES NOT INCLUDE THE WONDERFUL CRAFT & CARRY TOTE. The Option #1 deal is $99 (plus sales tax). 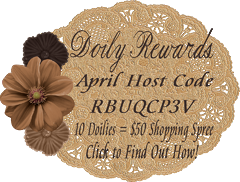 These GREAT DEALS end March 31, 2019!